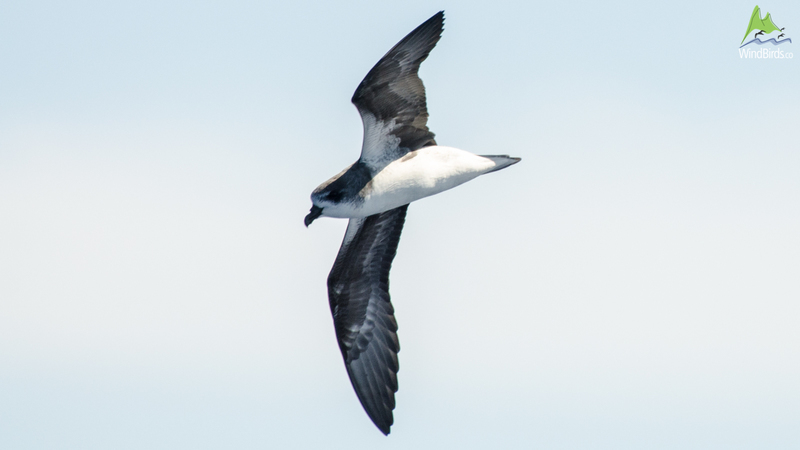 Medium-sized, slightly built gadfly petrel with relatively heavy bill. 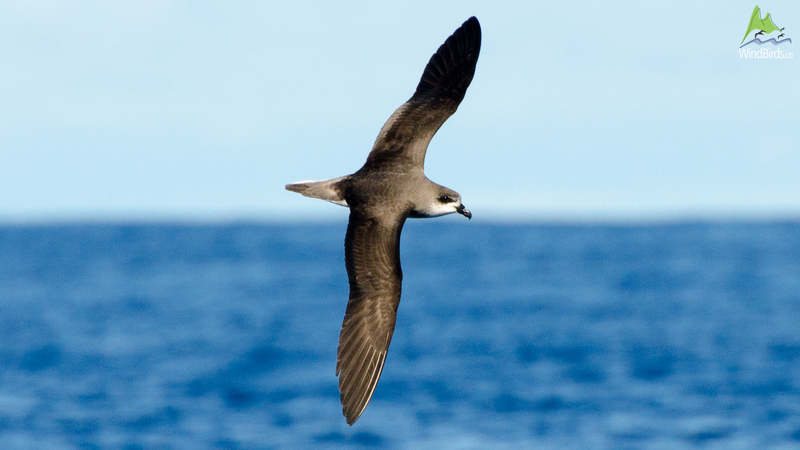 Fea's Petrel has dark grey plumage on the upper parts of its body and underwings while the rest of its body is white. On its head, the bird has a white area between its bill (black and robust) and its eyes. The other areas of its head are dark, with the top of the head being dark grey. Commonly flies at high speed in very high (10/40 metres) “Vs” above the sea, rarely beating its wings. There are no differences between males and females. This species is endemic to Macaronesia and nests in Madeira archipelago (on Bugio – one of the Desertas islands) and on the Cape Verde islands of São Nicolau, Santiago, Fogo and Santo Antão. 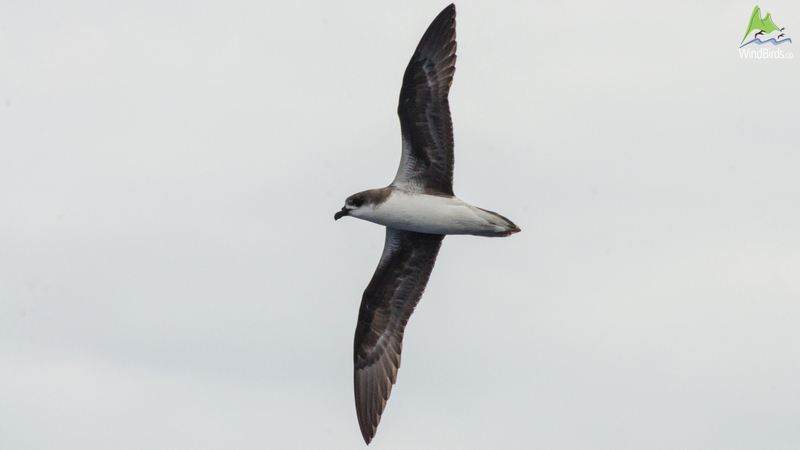 It might be easily confused with Zino's Petrels due to its similar characteristics though a close look at Fea's / Desertas Petrels show a bigger and bulkier body with a much heavier bill than Zino's. 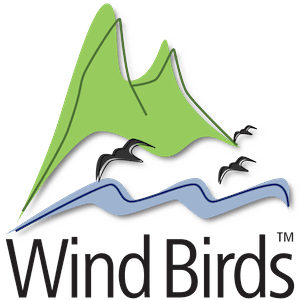 Seasonality in Madeira: These seabirds are observed flying around Madeira between mid-May and mid-November. Breeding: On the Southern plateau of Bugio this seabird normally nests in unused rabbit burrows or ones that it excavates itself where the ground is soft with sufficient soil. It also nests in holes in rocks or in zones with loose stones, the latter habitat being more common in Cape Verde. Fea's Petrels arrive in Madeira waters around June, lay a single egg in summer (July/August) and the young birds leave the nests in December. In Cape Verde, this species appears to lay its eggs in December/January. There are some reasons to think that the Cape Verde population of Fea's Petrel may be a separate species and some taxonomic authorities (Avibase, IOU - International Ornithologists’ Union - former IOC) already consider them as 2 different species - Pterodroma deserta and Pterodroma feae - but the data supporting this line of thought is still inconclusive. The described ID differences are small and are expected on island colonies, also the different breeding seasons are understandable when colonies are geographically distinctive.